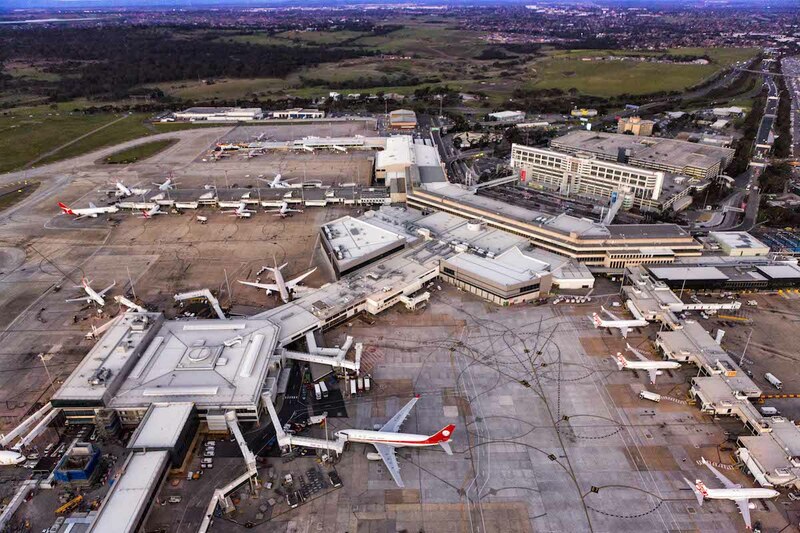 While Melbourne Australia’s airport at Tullamarine might not glow with the aviation heritage of, say, NY–La Guardia or Paris-Le Bourget, it’s still a good index for the world’s ever-expanding demand for aviation connections. And, as recent stats from YMML show, global aviation is definitely not shrinking. Flights, city pairs, available seats and airline fleets are all growing astronomically. 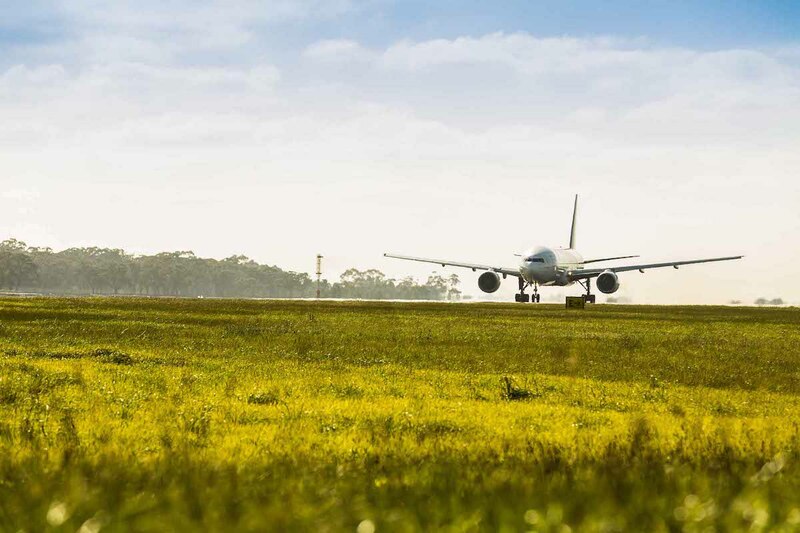 At the beginning of June 2017 Melbourne Airport reported that just one week’s worth of new service announcements and commencements had raised their total international departures by an incredible 800,000 seats per year. That’s a lot of choice for Melbourne’s 4.6 million residents1 to share between them. Most recent was China Southern, which has begun new A330-200 services (the airline has 16 in its fleet) direct to Shenzen, China every Tuesday, Friday and Sunday. That’s 650 extra seats a week right there. China Southern’s service inauguration came hot on the heels of Japan Airlines announcing new daily direct services between Melbourne and Tokyo; and Sri Lankan announcing its own daily services direct to Colombo; all in the same week. Plus Air Canada will commence services across the Pacific from December this year. It’s also interesting that all three of those airlines – as well as a new QANTAS service that will fly from Melbourne, through Perth and then non-stop to London-Heathrow from next year – will be operated with variants of Boeing’s innovative 787 Dreamliner. That certainly appears to validate Boeing’s rather risky shot of bringing multiple new technologies into the Dreamliner program, and in betting on more flexible direct city pairings over the high volume hub-and-spoke model Airbus backed with the A380. What stands, however, is the fact that Melbourne Airport is about as far as you can get from everywhere. Tullamarine is almost as distant from London Heathrow (10,504 nm) as it is from New York JFK (10,374 nm); and not much nearer to Beijng, China (5,641 nm) than it is to the US West Coast (KSFO is 7,855 nm). The city is also famously cosmopolitan, hosting the world’s largest Greek population outside Greece as just one example, so the airport is a vital link between home and “home” for a lot of its residents. It may just be the perfect port for combining trunk-route A380 services with lighter 787-style direct services. That certainly how things seem to be evolving. Up until the 1960s, Melbourne’s air travel was serviced by nearby Essendon Airport, but even in the mid-1950s the growing number of international travellers and the advent of jet airliners made it clear that an entirely new facility would be needed. 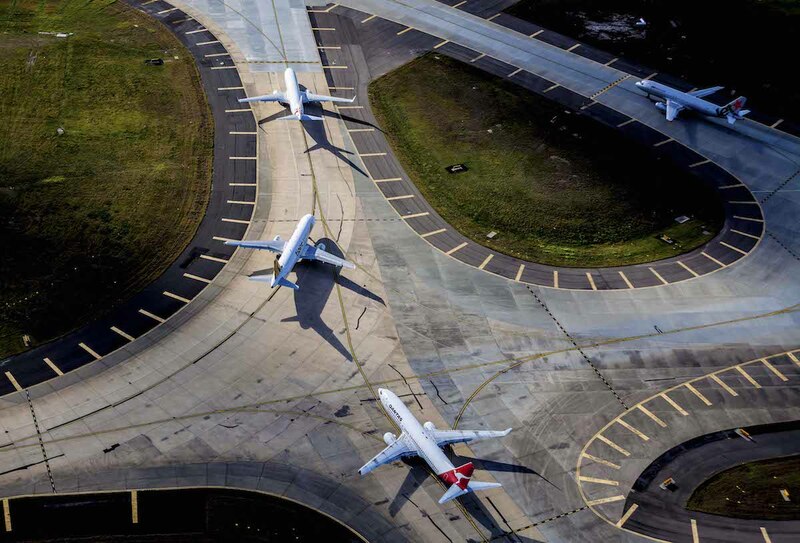 For one thing, Essendon was already being crowded by its residential neighbours and there was nowhere to put the longer runways that long-haul jets would need. 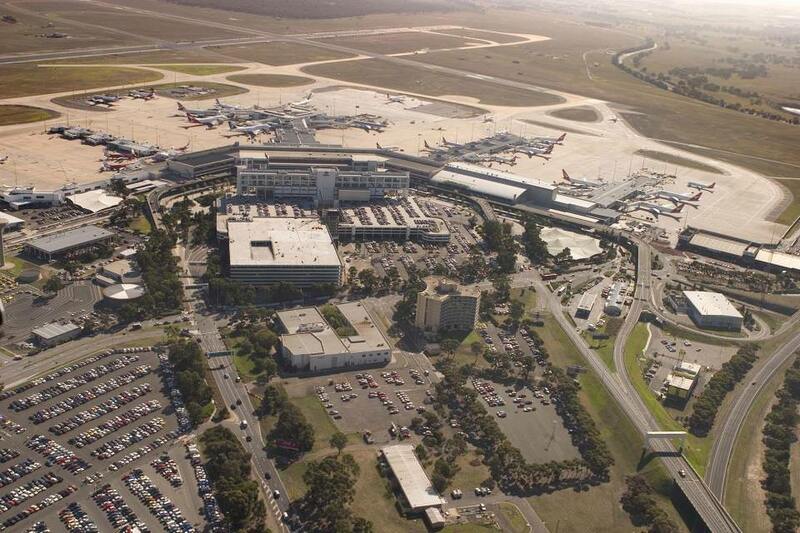 So in 1958, the Federal government purchased 13,000 acres (5,300 ha) of land at Tullamarine, 23 kilometres form the city centre, for a new ‘jet port’. What a wonderful term! Part of the land included Gowrie Farm, which had been used as a satellite for Essendon during World War Two, and aircraft being parked there at night in case Essendon was bombed. 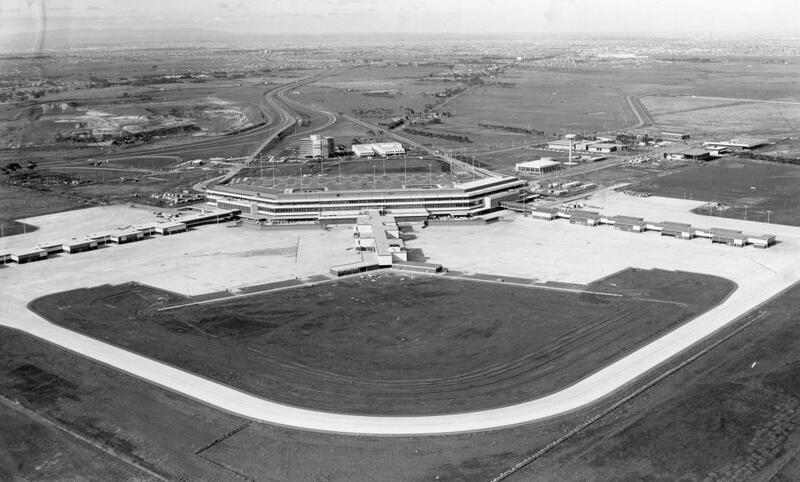 The new airport opened for international flights on July 1st, 1970 and then took most domestic services off Essendon from June 26th, 1971. The airport handled 155, 275 international passengers for six airlines in that first year. 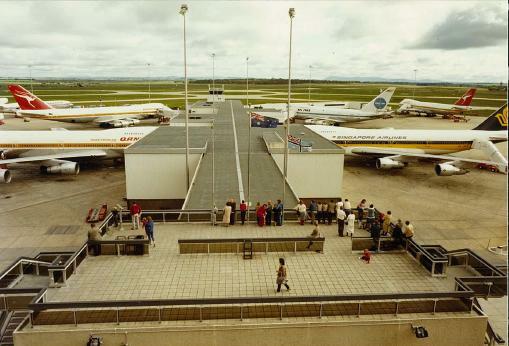 The inexorable rise in air travel saw the airport struggling to keep up with demand; it was operating at almost double it’s designed passenger capacity by the 1980s and expansion or improvement projects have felt almost ongoing ever since. The next big step is more asphalt, in the form of a third runway. 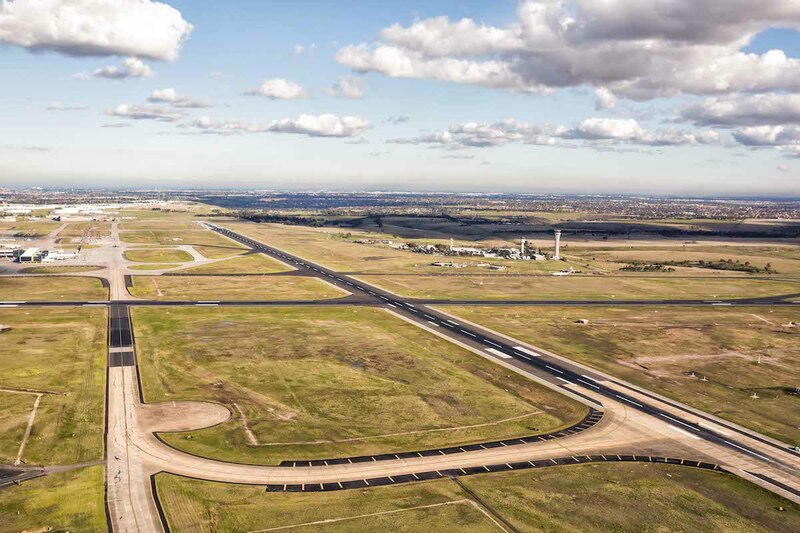 Ultimately this will give the airport two 3000 metre east-west runways, both 60 metres wide, plus its 3,657 m x 60 m north-south strip (actually 16/34), by the year 2024. Whether that proves enough to handle aviation growth in the 21st Century will have to be seen. 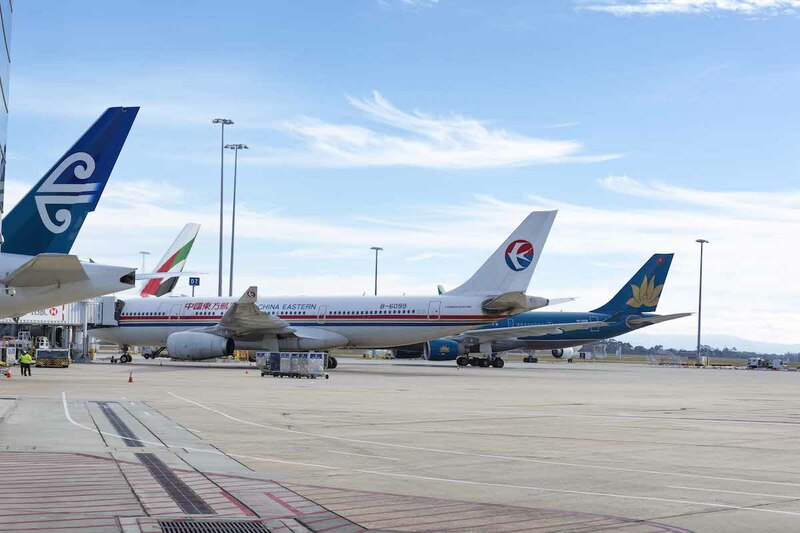 Melbourne’s expecting to handle 64 million passengers and 350,000 aircraft movements a year3 by 2033 (twenty years from when the plans were formulated). But I still can’t think of a single airport that managed to accurately predict and build for eventual demand. Tell that to the people who want to strangle and/or close airports like KSMO. While you’re at it, mention that YMML is estimated to be worth A$6.8 billion4 (with a ‘b’) to the local economy. I like airports. I mean, what’s not to like – they’re where aircraft are at. But also, from a more ‘airscape’ perspective, a lot of them have amazing stories to tell. True, some have simply sprung from a single, purposeful infrastructure investment. But many more have a history that’s easily as fascinating as any of the aircraft they serve. All around the world, there are major airports that have grown out of convenient cow pastures, essential refuelling points, pioneering commercial routes, vital wartime bases, national pride, and even optimistic real estate speculation. Some of those stories are still highly instructive and I’m looking forward to sharing more of them. Not just the big ones either – feel free to let me know about your local paddock’s history too. I don’t want to take the focus off the appalling rate of airport closures, but perhaps reflecting on some airport successes might show the small thinkers a much broader horizon. Sounds like Australia is more appreciative of and takes better care of its aviation infrastructure than the United States. It’s sad (for us here in America, I mean). NIMBYism around here is in vogue in a way which would have disgusted those that invented the airplane. Between airport closures and the current proposal to transfer our air traffic management to a private corporation operated by the airlines, general aviation could one day be a thing of the past. Such a fragile ecosystem, and so little appreciation for it. The airlines move to ab initio schemes to populate the cockpit, and there you are: the miracle of flight reduced to a fleet of buses filled with surly passengers and an army of little drones delivering pizza and beer. Well, 0 out of 10 for cheering me up! Sadly NIMBYism isn’t unique to America: It’s a worldwide phenomenon which has now evolved into an extremist threat that I like to call ‘radical NIMBYism’. 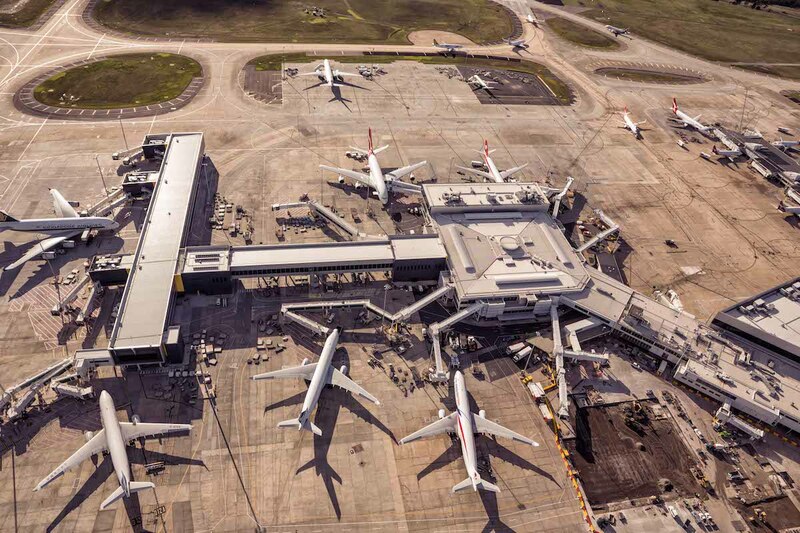 Even though Melbourne Airport is expanding and there are plans afoot to finally give Sydney a second international airport, all this growth is for RPT aviation. The airspace authorities claim enormous chunks of sky around each of these centres and hold it inflexibly, in an approach that doesn’t seem to have evolved at all since the Berlin Airlift. 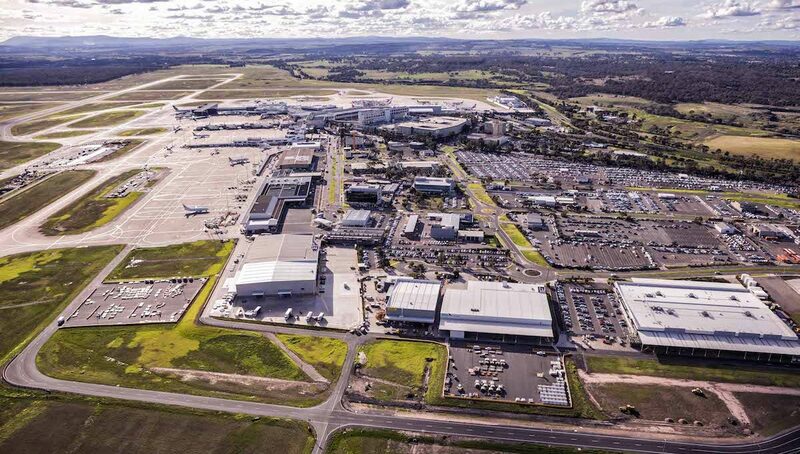 With the second airport at Badgerys Creek, NSW, light general aviation is dangerously close to being squeezed out of the entire Sydney basin. It’s just one example of the way GA is in real peril. As aviation grows strongly in one or two areas, it seems to be at the expense of others. There’s a real danger that GA will be shoved off to remote airfields and limited to a ‘wild west’ airspace layer below the flight levels. Airliners run on rails, so they’re not hard to avoid. Fundamentally, GA is all about the freedom of the skies, and that’s exactly what it should be able to enjoy. Yeah, sorry about that… I guess even the most optomistic among us has to kvetch every now and then. For locales which never had huge GA presence, it’s hard enough to lose what little there is. But to see a multi-billion dollar industry gutted by those who ought to (and at one time did) appreciate its importance is particularly galling. If you look at the dollar numbers for shipments, they don’t look so dire. But the average cost of a GA airplane is like 10x what it was in the 80s, so the unit numbers are really dismal. You can see this reflected in the sparsely populated ramps and every increasing age of today’s average pilot. I hear you. I wonder if anyone’s documented the rise and fall of GA – and whether that offers any clues. I have a theory that the true indicator of GA’s health is fundamental public goodwill. Sadly, that reached its crescendo after Charles Lindbergh crossed the Atlantic and has slowly waned ever since. The massive built-and-ship period from the 50s through 70s belie what was happening below the surface so, despite those rosy decades, by the 1980s the eroded foundation became sharply apparent. Often things can look really peachy from within aviation – if you’re camped at Oshkosh or attending an AOPA fly-in – but that’s the illusion of breathing your own air. Worst of all, I can see the whole cycle repeating itself with the airlines and their attitude to GA, the latter being the former’s bedrock. One day commercial aviation may find that by destroying GA and treating aviators like a commodity, they’re eroding the foundation of their business. Forever cutting costs and eliminating “inconveniences” like other airspace users could leave them with a catastrophic lack (not just a shortage) of people to fly the planes – and no way to fix the problem. And I’m very proud to live near one of the airports that Charles Lindbergh landed at in his plane, Spirit of St. Louis. I also live only a few miles away from Biggs Filed where they trained B-17, B-24 and B-29 pilots for WWII. But that’s the perks of living near an Army base. That’s very cool. 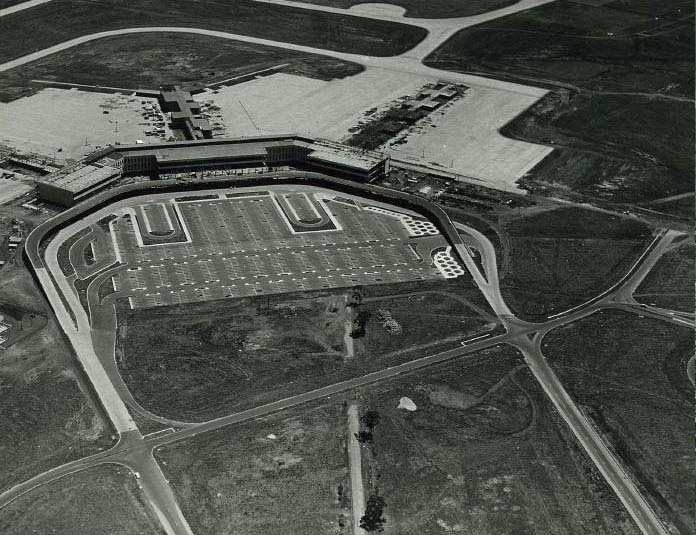 Just about every airport seems to have some piece of fascinating history. I thought YMML had been brought out of the ground from nothing and was very surprised to discover the link with a WW2 dispersal field. Charles Lindbergh is hard to beat though! 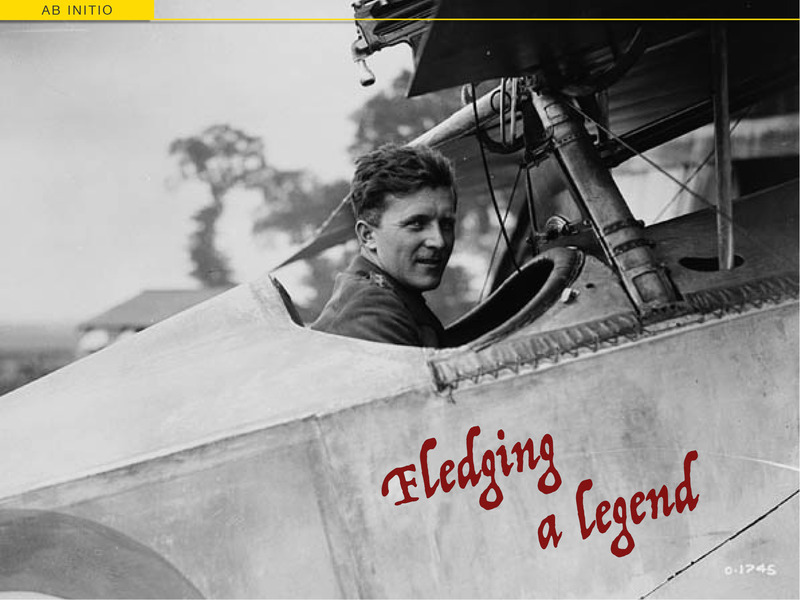 He occupies a very unique place, not only in aviation’s history but also in its spirit.